Jeff P. Talbott brings 33 years of State government and higher education law enforcement experience as a consultant to Collaborative Brain Trust. Prior to his current service as Chief Director of Public Safety for the University of Redlands, Jeff was the Chief of the Inland Division of the California Highway Patrol (CHP) where he managed the CHP's law enforcement duties and responsibilities in several counties of the Inland Empire. In that role, Jeff managed, coordinated and evaluated the resources of 1,000 member personnel cadre and a multi-million dollar fiscal budget for the larges geographical division of the CHP. 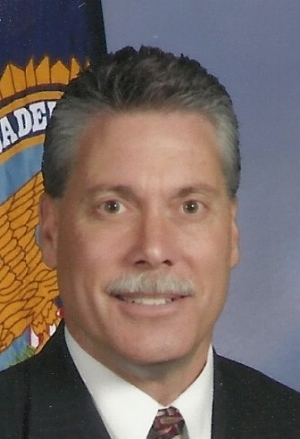 Prior to his leadership at CHP Inland Division, he served as Chief of CHP Coastal Division. He also served as Chief/ Executive Assistant to the CHP Assistant Commissioner of Field Operations in Sacramento where he performed as the statewide liaison between the Office of the Commissioner and the CHP Field Division Commanders, Protective Services Division, and Office of Air Operations. In his emergency operations role Jeff was selected to lead a team of 100 CHP personnel to New Orleans and Baton Rouge, Louisiana to assist state and local law enforcement resources in one of the Nation's largest search and rescue/recovery missions in the immediate aftermath of Hurricane Katrina. Talbott is an active member in several professional organizations such as the International Association of Campus Law Enforcement Administrators (IACLEA), California College and University Police Chiefs Association (CCUPCA), University Risk Management and Insurance Association (URMIA) and the Federal Bureau of Investigation National Academy Associates (FBINAA). He also provides volunteer services as the Chairman of the Board for a California State Chartered Credit Union. He has repeatedly been recognized for his teambuilding skills and demonstrated ability to analyze and correct organizational shortcomings in an efficient way. Talbott is a graduate of the Federal Bureau of Investigation (FBI), National Academy and holds a MBA from the University of California, Riverside.